649 million Chinese are now online and using the internet to purchase goods at a level which is unprecedented. For small businesses outside of China, e-commerce channels present an opportunity to access this fast-developing and dynamic market. One area that has grown particularly quickly is online grocery shopping. According to China Internet Watch, online purchases of packaged food (34 times a year) and fresh food (24 times year) occur more frequently than purchases of apparel (22 times a year). E-commerce for Food & Beverages in China is mainly carried out customer-to-customer (C2C) and business-to-customer (B2C), with the latter type of transaction gaining increasing importance. E-commerce platforms like Tmall and Jing Dong offer online marketplaces and open business opportunities to well-established retailers wanting access to Chinese e-commerce. The present ‘How to Guide’ provides insights on the e-commerce market for food and beverages in China, enabling you to quickly gain an understanding of the opportunities in the market and more importantly how to access them. This 70-page guide includes flow diagrams, charts and cost comparison tables which allow you to quickly learn which platform will work best for your product, how to set up the right E-commerce model, and get the knowledge to develop your E-commerce strategy in China, including how to price your product, set payment methods, and understand tax liabilities. "Especially beneficial to small business producers, export managers, cooperatives, online retailers, distributors and brand owners in the food and drink sector." With more than six years’ hands-on experience in managing a business in China, Rafael offers advice for European SMEs in developing practical market entry strategies in the country. 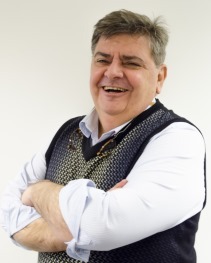 Following a career at a senior level within the F&B and ICT industry, he arrived in China in 2009 as Director of a Spanish F&B company involved in the restaurant and trade business. He helped the company set up a Wholly Foreign Owned Enterprise (WFOE) in China, ran operations for three years and led a team of more than 100 employees. More recently he was Shanghai Office Director at a Management Consultancy Firm. Born in Spain, Rafael holds a bachelor of Physics and has three sons. Domenico Di Liello is supporting EU SMEs in their business development to China at the EU SME Centre in Beijing. 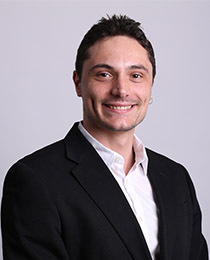 Having joined in 2012, Domenico conducts research on different aspects of the Chinese business environment, with a special focus on the green-tech and E-commerce sectors. 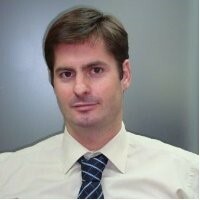 He has worked on various B2B events and trade missions in China. He first moved to China in 2006 and has been living in China consecutively since 2010. He is particularly interested in field research on the environmental sustainability of Chinese economic growth. Domenico holds a Masters degree in Political Sciences and a Bachelors degree in Literature and Philosophy from Naples University “L’Orientale”. He also has a Masters degree from the School of Economics at the Renmin University of China, Beijing. If you need any assistance in purchasing the guideline or have any questions(e.g. make the payment in RMB or pay via bank transfer), please send us an email at info@eusmecentre.org.cn;如果您希望以人民币支付或通过银行转账付款，请发邮件至info@eusmecentre.org.cn.